A Georgia man and some of his pals failed completely in their attempt to perform a citizen's arrest on members of the Clayton County Board of Commissioners Tuesday, even though he said sovereign citizen magic words, cited several statutes by number, and commanded police to take them into custody. It's almost as if nobody recognized his authoriteh. 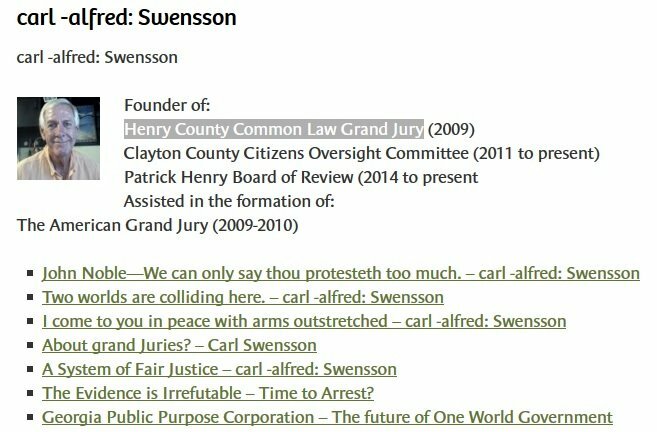 During the comment period of the board meeting, Carl Swensson, leader of an imaginary body he calls the "Clayton County Citizen’s Oversight Committee," took the lectern and informed several county officials they were under arrest, including District Attorney Tracy Graham-Lawson and three commissioners. He didn't specify exactly what charges they were supposedly being arrested on, apart from saying they'd violated their oaths of office. He and his associates even posted a YouTube video of the drama! Before Swensson took his turn at the lectern to arrest the commission members, an associate, Paul Nally, announced the totally official arrest warrant for the D.A., for unspecified offenses. Nally explained (for a certain value of "explain"), “This is what happens when public officials ignore the rights, privileges and immunities of citizens.” To our great disappointment, he did not then pull out a baseball bat and begin smashing up a Corvette. These guys have no idea what makes for an entertaining video. I’m here to invoke my absolute and guaranteed rights to also effect a citizen’s arrest...It is also incumbent on the peace officers to now take them into custody. This meeting should officially be over because you guys have been in violation on the fact you still hold state money. I command peace officers here, right now, to come and take possession. If you do not, then you are in violation of your oath of office and you are in violation of all that is sacred to everybody here in this county. Please do not hesitate, please do your job, please take custody right now. We need resolution. We’re not getting it at the national level and we only have the local level to deal with. Do your job: Come take possession of the arrestees. Strangely, the cops in the room did not rush forward to clap the offending officials in irons so they could face whatever justice Swensson figured he needed to dispense, so he announced "I am finished!" and stormed off. If that's not official, we don't know what is! 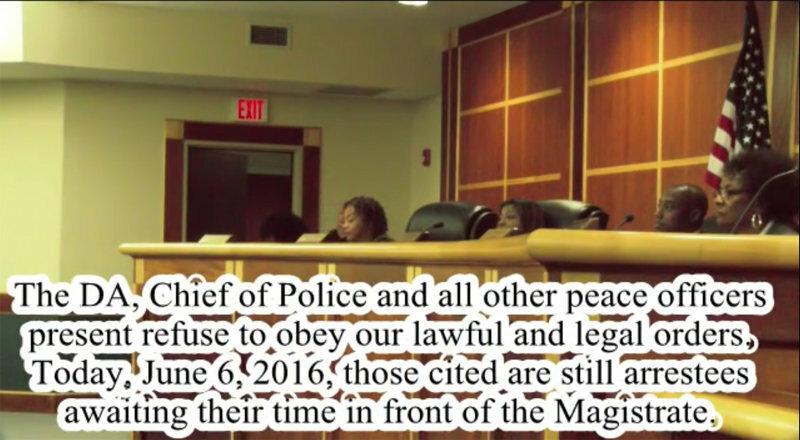 After Swensson and his whipped posse left the hearing room, they were warned by Clayton County Police Chief Michael Register that the only arrests that would be happening that evening would be of Swensson and party if they attempted to re-enter the commission chamber, and that they'd be "charged with assault if they attempted to perform the arrests themselves." So yes, the cops know how these loons operate. Many in the chamber erupted in laughter at the joke. It is no joke, Mr. Criminal! The video Swensson posted to YouTube Wednesday includes an important note: Even though the police didn't do their duty, everyone is still under arrest and awaiting trial before an unspecified "Magistrate." Yr Wonkette assumes county officials and law enforcement are providing extra security to the folks targeted by the "Clayton County Citizen’s Oversight Committee," given the tendency of these idiots to occasionally mount armed assaults on county buildings or to try to "arrest" officials by force -- almost exactly two years ago, in nearby Forsyth County, a sovereign moran drove an SUV up the steps of the county courthouse in what appeared to be a failed attempt to take hostages, and died in a gunfight with deputies. These guys are hilarious when they're talking in court, and far less funny when they get it into their heads that more direct action is needed.